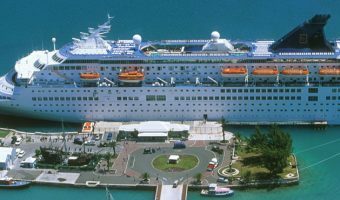 Bermuda 4u > Frequently Asked Questions > Which cruise ships sail from Boston to Bermuda? 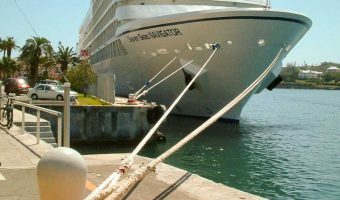 NCL’s Norwegian Dawn returns to Bermuda once again in 2018. Throughout the season she will offer 22 cruises to the island. 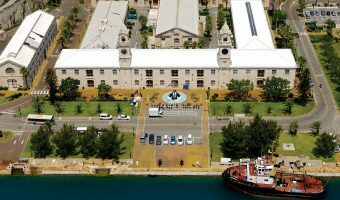 The Norwegian Dawn offers 7-night cruises from Boston to Bermuda (King’s Wharf, Royal Naval Dockyard). The ship departs from Boston on Friday at 4 pm and arrives in Bermuda on Sunday at 1 pm. She leaves Bermuda on Tuesday at 5.30 pm, after spending two nights on the island. She arrives back in Boston at 8 am on Friday. The Norwegian Dawn entered service in 2002 and was most recently refurbished in 2016. Enhancements included two new restaurants, three new bars and lounges, refurbishment of all staterooms. Can you track the boats location? What happened to the cruise ships that used to dock in Hamilton? Find out why the big cruise ships no longer dock at Hamilton.